Text by Gloria Picazo for the exhibition catalog. In 2009, Antònia Del Río made a book with polyester resin for the Fòssils [Fossils] series. However, this was no ordinary book, but a volume that had previously been restored and bound as a hard cover edition. The concept of the ​​fossil -understood as the remnant of what was once alive- applied to a book was a very telling sign of wath her later work would bring. That same year she undertook another project on which she is working today, Aliment discursiu teòric [Theoretical Discursive Food]. 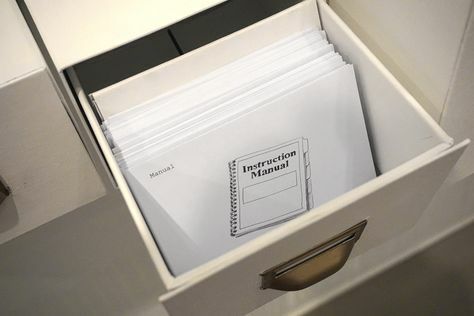 It is essentially a collection of quotes by authors such as George Perec, Susan Sontag, Walter Benjamin and Alberto Manguel, among others, which the artist copies on loose sheets of paper and places in racks like those often used in museums to hold free brochures and leaflets for visitors. 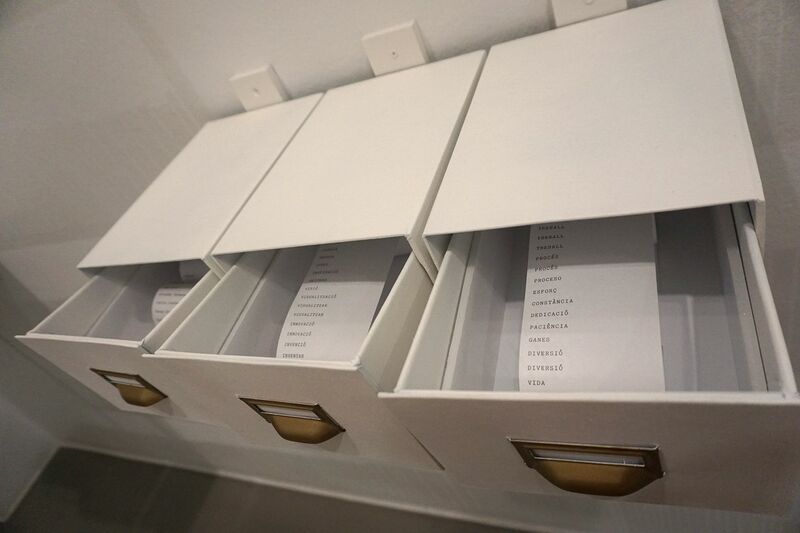 This initially scattered archive, which visitors are free to rearrange as they wish, in intended to make them think of their own personal library. In 2010 Del Río revisited the idea of ​​the library that has a certain order within its disorder, as well as of the random library saved from oblivion, first posed by Manguel ­- a passionate lover of books, reading and libraries- in her installation Xiu-xius en blanc, la biblioteca absent [Blank Whispers, The Absent Library]. According to Del Río, this work is “a tribute to all the books that have disappeared throughout history, understanding the book as the memory of the world, and the library as its warehouse”. 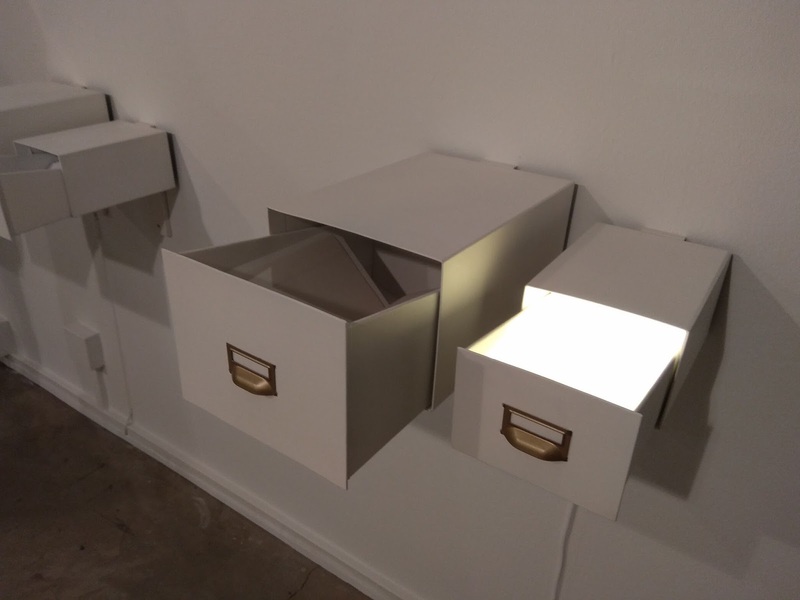 In her installation for La Casa Encendida, the artist once again references the notions of disappearance, oblivion, absence and silence by building a new blank library, with no authors or materials, an absent library that only contains her own artist’s editions. 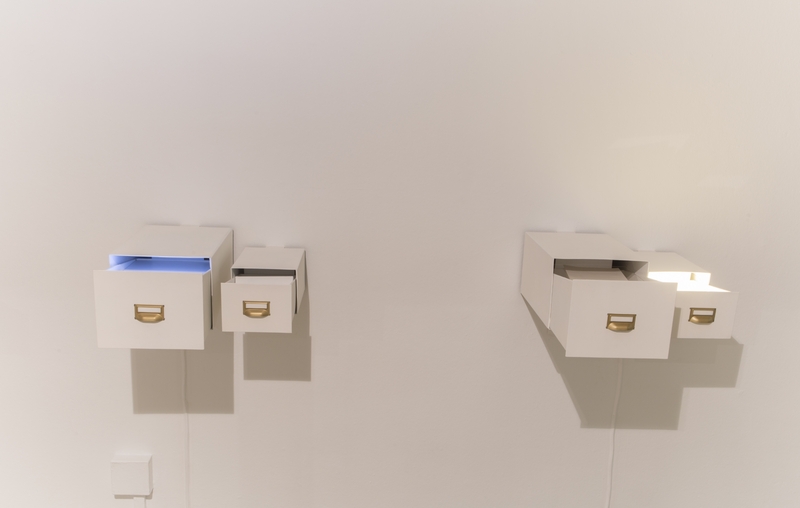 The second project she presents in this exhibition, Expurgo 4 [Purge 4], is part of a series begun in 2011 in which the artist meditates on the concept of book-purging, a process whereby libraries select a certain number of volumes to be taken out of circulation or stored in a place not readily accessible to readers. This regular process of subtraction and additions is essential to the continued growth and development of any library, allowing it to periodically renew its collections. Building on the experience of previous interventions at Poble Nou – Manuel Arranz, Sant Martí de Provençals and Infanta Isabel d’Aragó Secondary School libraries, all them in Barcelona, ​​and after applying the same process to the collection of art catalogues at the Arts Santa Mònica cultural center, ​​the artist has now decided to purge some of catalogues held at La Casa Encendida. 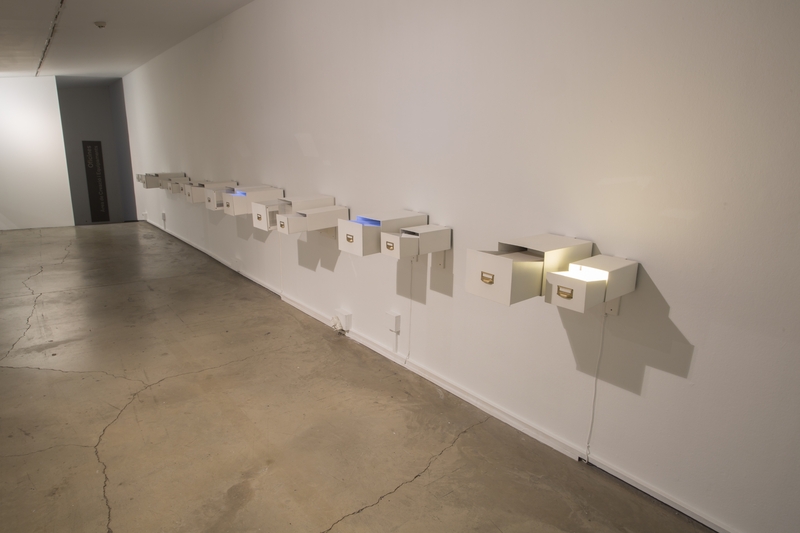 To this end, Del Río draws up a list of “purged” publications which she then inserts in each of the catalogues that are available to visitors. These catalogues are sealed shut with a bookplate designed especially for the occasion. Visitors can take home as many purged volumes as they wish, as long as they fill out a form explaining why they chose that particular publication. In turn, these completed forms will supply the artist with the necessary material to create a new artist’s edition once exhibitions ends.